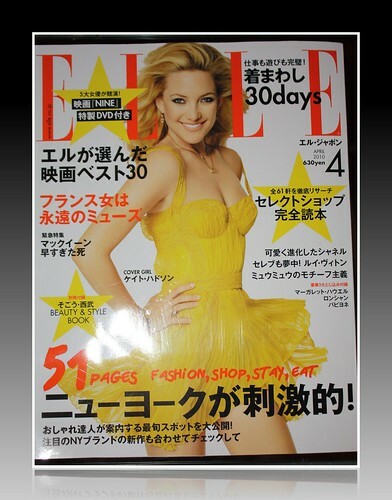 A few months ago I did a shoot with Elle Japan and I finally managed to get my hands on a copy before I left. Sorry for the not so great pictures. The humidity here is already starting to wrinkle the paper and I don't have access to my scanner! 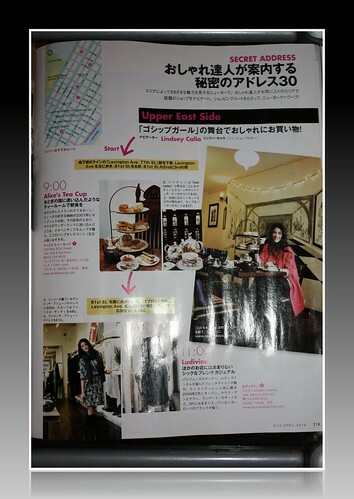 Elle Japan picked one girl from each area of New York to play shopping and restaurant tour guide. I took them to some of my favorite spots on the Upper East Side including Alice's Tea Cup, which is the best place for tea and scones. I also took them to a french boutique called Ludivine and fell in love with every single piece in the store. I was able to try different outfits on and everything I tried on looked effortlessly chic. The French make it look so easy! I wish I could tell you what everything said but I don't have a clue! 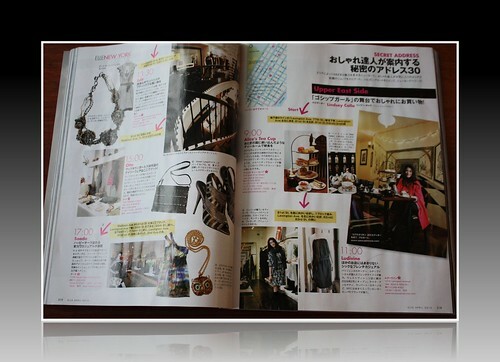 Thanks to Elle Japan for a great feature.